Hi and welcome to another Blog post! 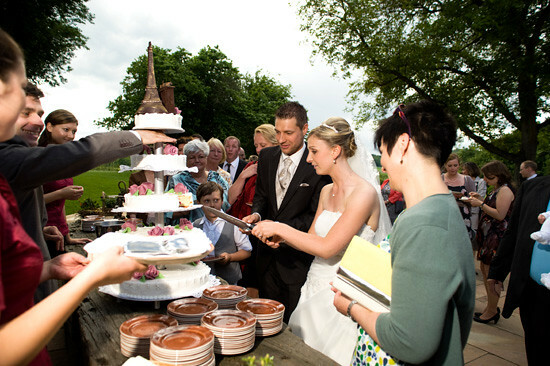 This time it is about being a 2nd Shooter at a wedding reportage. This was my first wedding reportage as a 2nd Shooter and it was absolutely exciting. Maybe you are asking yourself what the advantages of being a 2nd Shooter are. Well, there are lots: You gain experience of how you have to organize your reportage, how to handle time and communication with those who are involved or just to get an imagination of a wedding procedure, you also can assist and learn how to take portraits and group photos and you can give it a try to shoot a wedding without any stress and obligation – just shoot for yourself and get a feeling of shooting weddings and learn from the 1st Shooter. That is the sense of being a 2nd Shooter: Learn from the best. In my case, I was an assistant of Kae Hall. 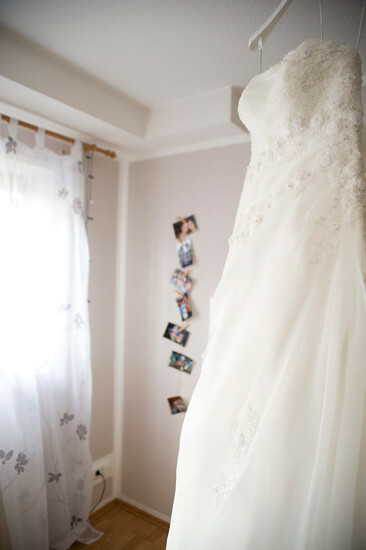 Kae is a professional wedding photographer and she has a modern bright, clean and timeless shooting style. To me it was a pleasure to spent one day with her as a 2nd Shooter. Thanks Kae, I learned a lot about shooting weddings on that day! I would say that this is the standard equipment for any reportage I do. The Speedlights help me to get a clean and professional looking image quality. I always like to interconnect two Speedlights for better light quality and also half the recycle time. The ND-Grad-Filter helps me to get rich in contrast when it is impossible to use Speedlights. Finally, gels give me the opportunity to stylize an image in terms of color. For example, a CTO helps me to create a warm light instead of a typical cool flashlight of 5000K. On the next day I drove to Kae’s studio which is located in Alsfeld. Before we hit the road we get over the arrangement table that shows all stations that we would have to pass on that day. At first we arrived at the bride to shoot the preparations. As a male shooter you have to be very sensible here because there are moments where you should better leave the room – for example when the bride gets dressed. I tell you that because maybe you are pore over your shooting so you would not recognize such moments. This would reflect discredit on you as a great photographer. So, here are some shots from the bridal preparations. For every station there is set a certain time that is available to get all images that are needed. If there is time left you can use it for some more experimental stuff. In the image above I tried to give an overview of the preparation and to capture some emotions. You can see the bride’s dress in the background on the far left. In the foreground the make-up artist who concentrates on making up the bride well and the bride herself who seems to be engrossed in thought. Always use the natural available light. If there is a curtain in front of the window like here, it is your lucky day! Use it as a diffuser to create a very soft light. Here it creates a dreamy atmosphere in combination with the transparent and milky cloth of the dress. These are nice shots of the bridesmates that help the bride with her dress. For those I used a 11-16/2.8 to get an overview of the scenery in this small room. To push the light quality I used a Speedlight with a dome diffuser and a WB of 5000K to create a daylight quality. I bounced the light off the ceiling. After shooting the preparation of the bride we drove to the next station the preparation of the groom. Finally, it is important to give an overview of the location in the beginning and than go into detail. Take images of the preparation and always look out for some interesting details and if there is some time left try some experimental stuff. You can also arrange some of your photos – just ask for permission to put the scenery in proper light. After the preparations we went to the church in a village nearby. 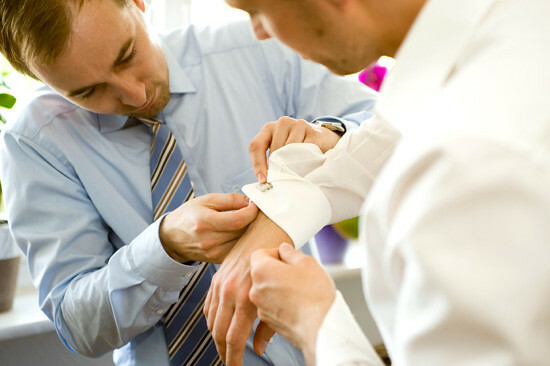 It is important to arrive there before the bridal couple does. When you arrive, also take an overview image of the location/church. Maybe you can shoot the arrival of the bride in a special car or something like that. I made this image before the bridal couple entered the church. Here you can easily capture great emotions of both. For this image I used the ND-Grad-Filter to darken the sky to accentuate the drama of the moment – “The big step”. During the ceremony it maybe not allowed to take pictures all the time, but only at special moments. 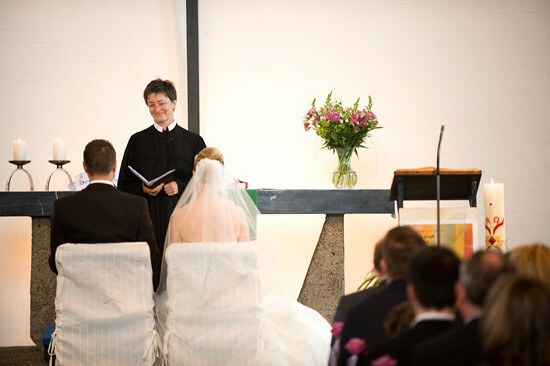 Sometimes you also may not have the go to shoot in front of the altar. For these situations I like to rig up a remote camera. Here it was not possible to install one so we had to shoot from the far end of the church. To get closer I used the 70-200/2.8 plus a 2x TC. That extended the focal length to a maximum of 400/5.6. I activated the VR and set an ISO of 5000 for this image. 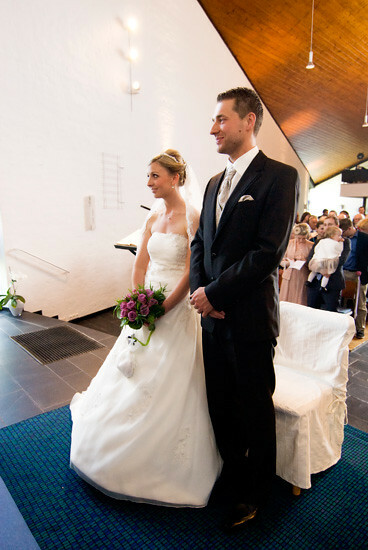 This is an example for a potential remote camera view in front of the altar when it is impossible to get there on yourself because of disturbing the ceremony too much. After the ceremony the tension falls off the bridal couple and it is time to celebrate. Right after the marriage there will be also the congratulation which is very hard to capture because of the hubbub. It is impossible to capture every congratulation to the bridal couple so concentrate on the most important persons only. After the church marriage the next station was the ceremony location. 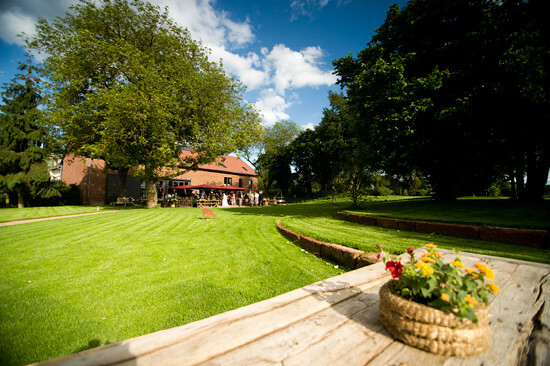 Capture the arrival of the bridal couple and take an overview image of the location. Important happenings here are the oration(s), the first cut of the cake and so on. Just watch out for great moments and details. Finally, we proceeded to the couple and group shots. Here it is important to find an interesting and easy positioning. You should prepare this before the shot so you surely know how the image should look in the end. It is also good to make a final shot that closes the reportage in a nice way. 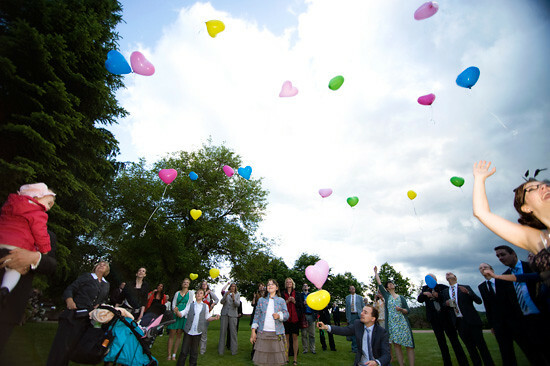 Therefor I used the following shot where everyone flew heart-shaped balloons and attached the best wishes to them. Hope this was fun to read and you got an impression of shooting a wedding. I really hope so.